In honor of my upcoming Bat Mitzvah, I will be raising money for Shaare Zedek Medical Center in Jerusalem. In celebration of Chanukah, I am doing an 8 Day Giveaway! 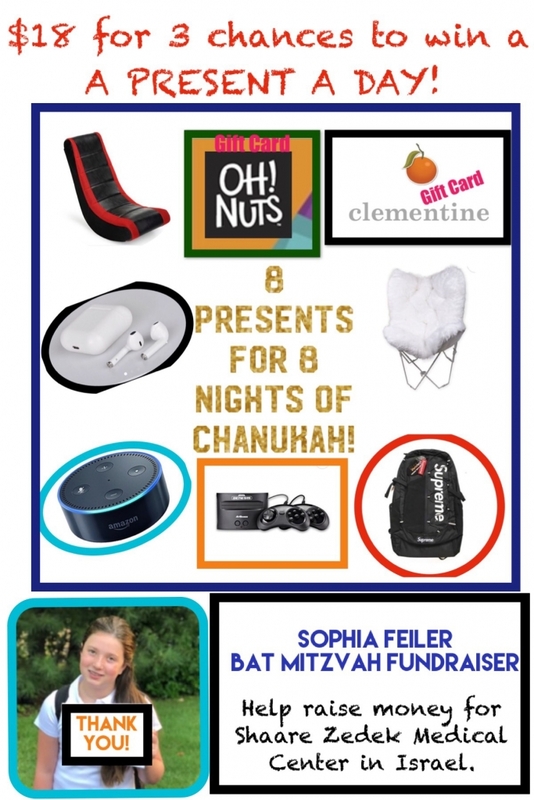 For each $ 18 entry, you get a chance to win a different present each night of Chanukah! 8. Gift Card to OhNuts! The money collected will go to help the littlest patients of Shaare Zedek Medical Center, the babies in the neonatal intensive care unit. My goal is to raise $25,000 for a needed Open Incubator. My cousin Lizzy was born in Shaare Zedek 13 years ago as a 30-week preemie. 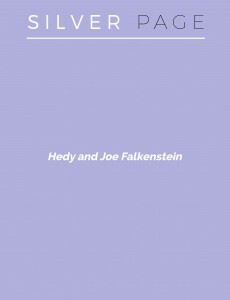 Shaare Zedek gave her the best care possible. Now is my chance to give back and say thank you. 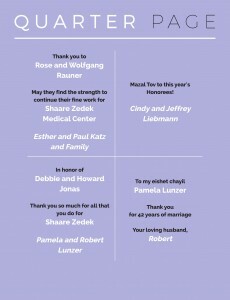 Thank you for supporting my Bat Mitzvah and the babies at Shaare Zedek!